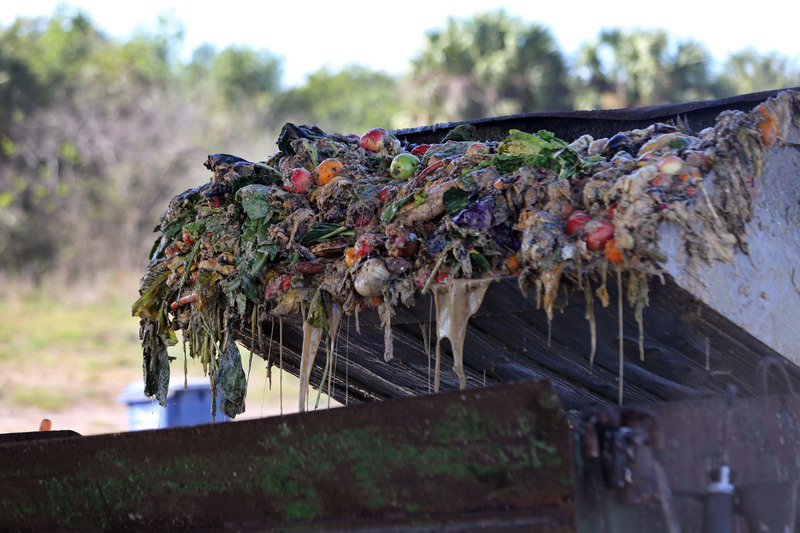 Cattle feast on fruit and vegetables at Brighton feedlot | Seminole Tribe of Florida, Inc.
BRIGHTON — Most reputable weight loss programs endorse eating fresh fruits and vegetables for health benefits and as a way to lose those excess pounds. That may be true for humans, but in Brighton the cattle have been eating their fill of produce and gaining weight steadily. Brighton’s recycled produce cattle feed program, which has been in place at the feedlot for three years, has been a cost saver and efficient weight increaser. Eating typical cattle feed, cows gain about 1.75 pounds per day; eating the produce mix they can gain about 2.5 pounds per day. Depending on the season, the program receives weekly deliveries of about 160,000 to 240,000 pounds of fruits, vegetables and bread not fresh enough to be sold to consumers. The food comes from Walmart stores in South Florida and is mixed with 10 percent hay, 30 percent conventional cattle feed mix and nine percent molasses fortified with antibiotics, medications and fly control. The fresh product comprises 51 percent of the cattle’s food at the feedlot. The produce changes with the season. Fall features an abundance of pumpkins. Winter loads include a lot of citrus and tomatoes. Summer brings more variety and quantity of fruits and vegetables. Throwing scraps to livestock is an age-old practice. 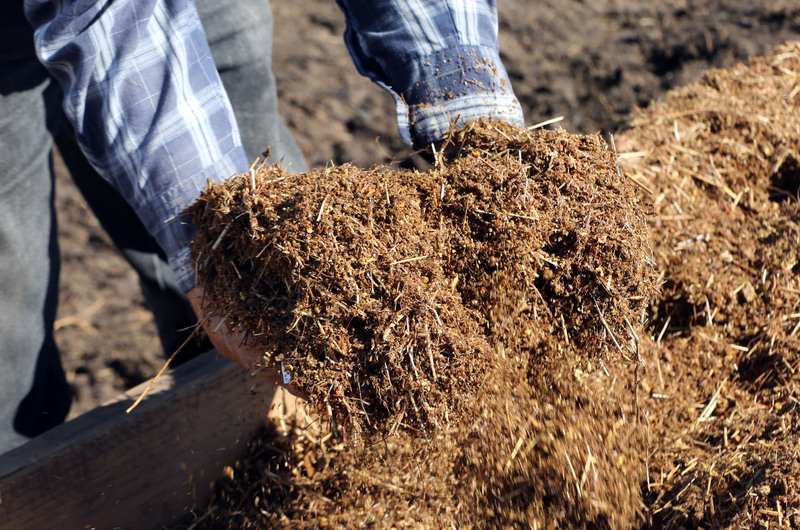 The Food and Drug Administration has allowed recycled organic waste to be used in animal feed since 1958 and the General Recognized as Safe process outlines the definitions and practices. Recycling the produce provides food for farm animals, keeps the material from clogging landfills and is a cost savings for ranchers and farmers. In a 2012 interview with Harvest Public Media on Kansas City’s KCUR radio in Missouri, Iowa State University animal scientist Mike Persia said, “Animal agriculture is one of the leaders in the green revolution, even though they have never touted that.” That the produce comes from Walmart is no accident. The company set a goal in 2009 to work toward a zero-waste future. Its 2016 Global Responsibility Report states that by the end of 2015 Walmart achieved 82 percent diversion of materials from landfills in the U.S. Johns said the cattle program saves about 50 percent on feed by using the recycled produce. To calculate the cost of raising cattle, Johns uses the cost of gain, which factors in all costs starting from when the animal arrived at the feedlot until it is sold at market. 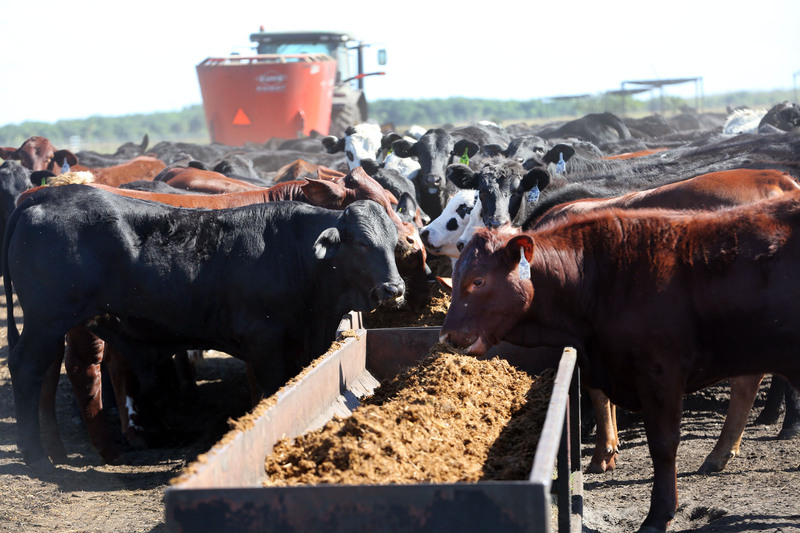 The feedlot’s goal is to assure each animal gains 250 pounds before being sent to the Quincy Cattle Company finishing lot in Chiefland, Florida. The process takes between 90 and 120 days, depending on the season; cattle gain more weight in winter than summer. The produce mix is a high moisture diet, which means they can eat more of it. Cattle eat up to seven percent of their body weight by the end of their stay at the feedlot, or about 50 pounds of feed daily. By eating more, their four stomachs are accustomed to a large intake of food. After gaining 600 pounds at the finishing lot, the animals are sent to market. Expenses are lowered with the shorter stay at the finishing lot and the cost of gain is reduced further. Johns said the cows earn about a 3.2 percent return over three months, or close to a 10 percent return annually. But because market factors fluctuate, he believes participating in the Chicago Mercantile Exchange’s cattle commodity futures market will allow the Tribe to lock in a price per pound before sending the cattle to market. If proper risk management strategies are implemented, the rate of return could be higher. However, as with any investment, nothing is ever guaranteed. “Futures are good for hedging your bets,” Johns said.